Since I've finished all the character work, I can now move on to set and environment building. 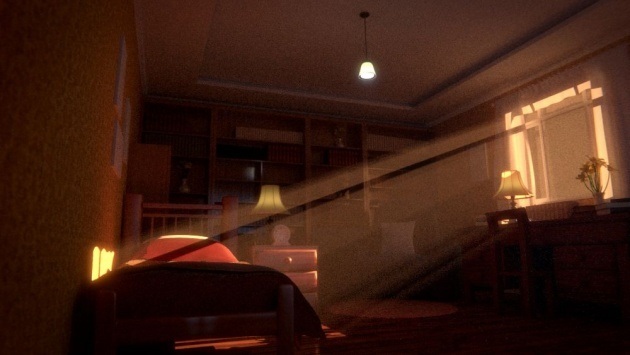 In this post, I'll detail the building of Uyir's room. 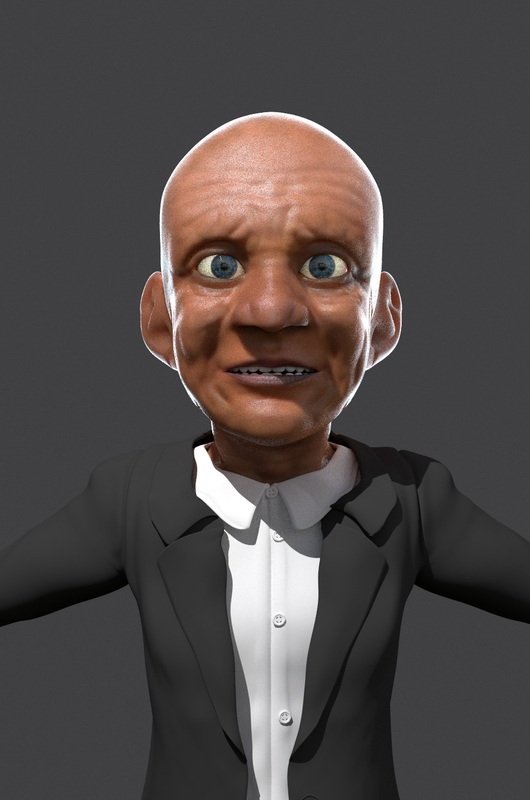 In this post, I'll detail how I went about transforming the old man to a little girl (poor old man :( ). In the film, she will be playing the role of Uyir's sweet granddaughter and her character will be quite significant in the film. Thus, I needed to ensure that I also put in a good amount of effort to make her look as detailed as possible. I could have simply just started from scratch but that would have taken another month (as that's how long the old man took). Especially considering I would have to do all the modelling again, texturing, re-define the same shape keys, rig, etc, I would have likely lost motivation. I was looking for a solution to minimise effort and maximise output and I found out how to do it in Blender! The solution simply involves transforming the old man into the granddaughter thereby preserving the shape keys, rig and skin/eye shader. All I had to change was the skin texture, eye colour and proportions of the body. From the previous post, I described the texturing and shading process of Uyir. In this post, I'll detail the hair and beard creation as well as the facial expressions. The beard was pretty much straightforward. I painted areas where I wanted his beard to grow and defined tiny hair strands for this using Blender's powerful particle system. The eyelash and eyebrows were also created this way. The particle system allows you to comb, smooth, puff, cut, and add hair wherever you choose. I combed the eyebrows and eyelashes in a way that would go for the stylistic look I was aiming for. From the last blog post, I described the rigging and clothing process for the main character of "Uyir". 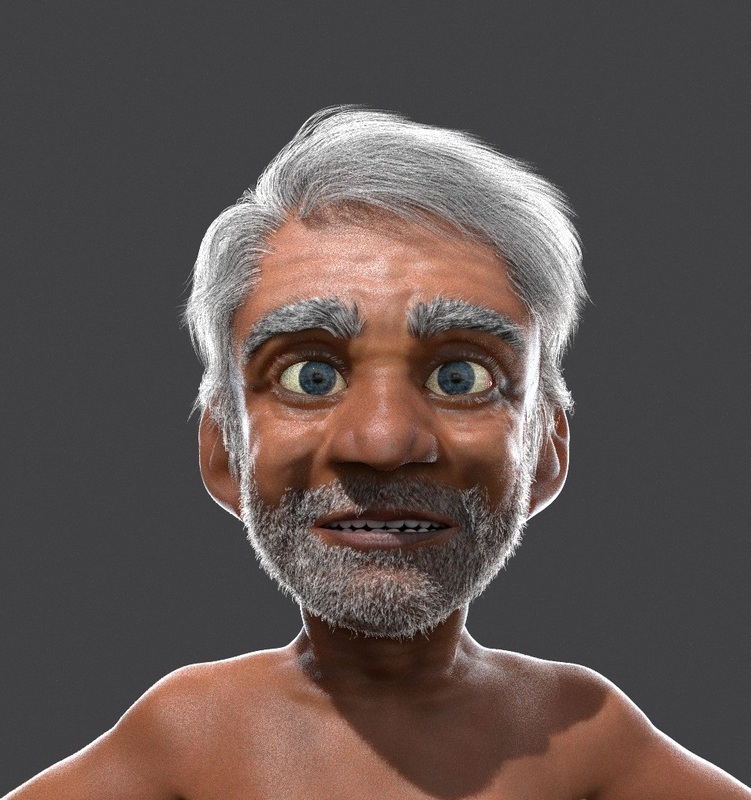 In this post, I'll detail the texturing and shading of the old guy. I'm the guy making this film! I've made some other films too..